Retro purse in genuine leather. 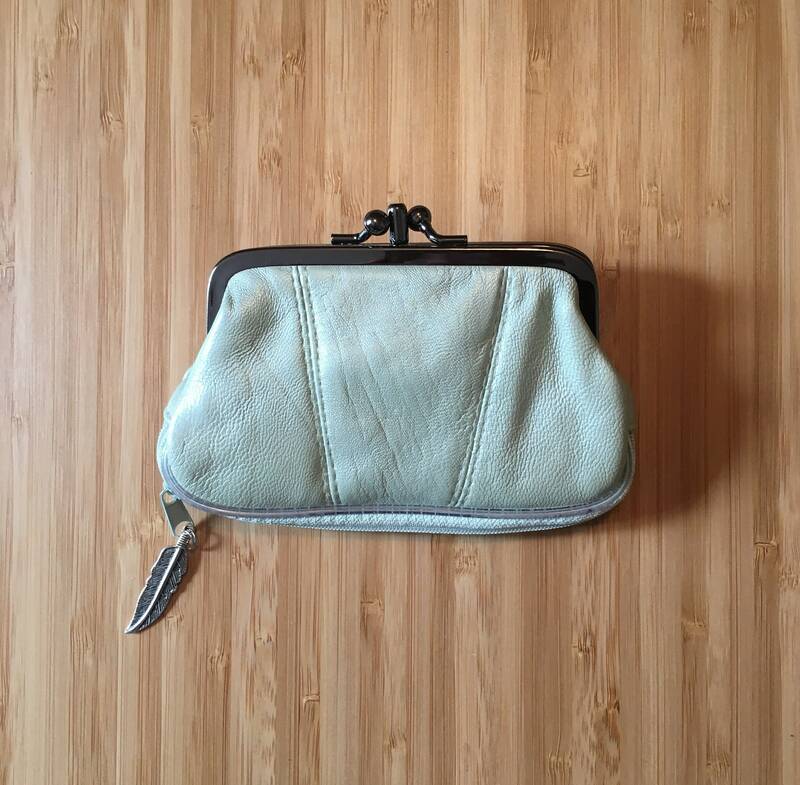 Metallic aqua green leather purse. 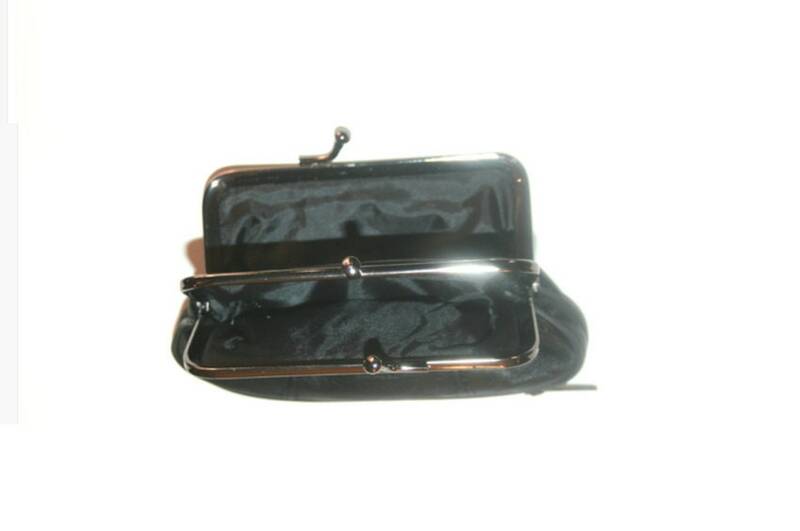 Clip purse with extra zipper at the base. 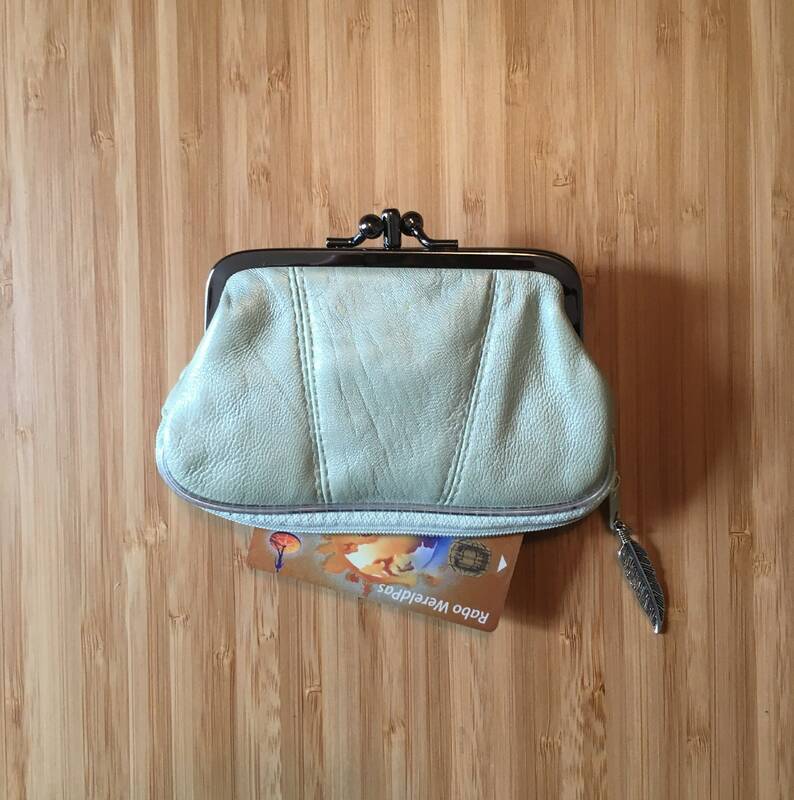 GENUINE LEATHER retro purse - wallet in a beautiful metallic aqua green shade. Triple metal clasp that opens to 2 compartments and *extra zipper at the base* (very handy for keeping credit cards separate from your notes and coins) We added a feather charm to the zipper. Great value, it is a beautiful *LEATHER* purse. This item will be sent by post as a regular letter, not registered. Thank you for visiting our shop ! !